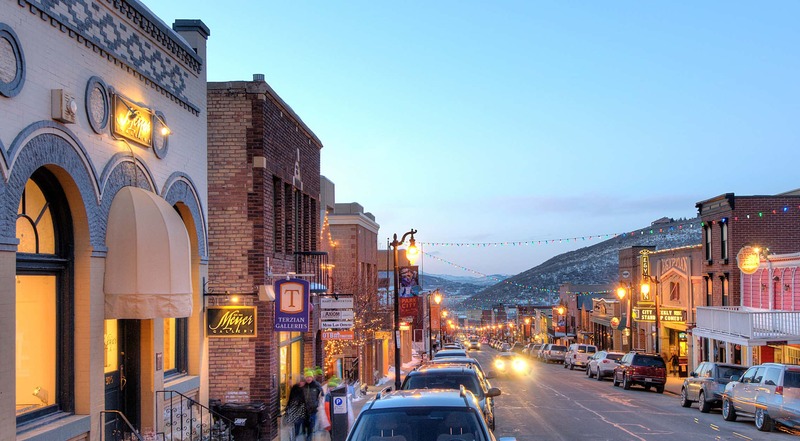 Historic Park City invites you to enjoy one free parking session on Main Street on us. 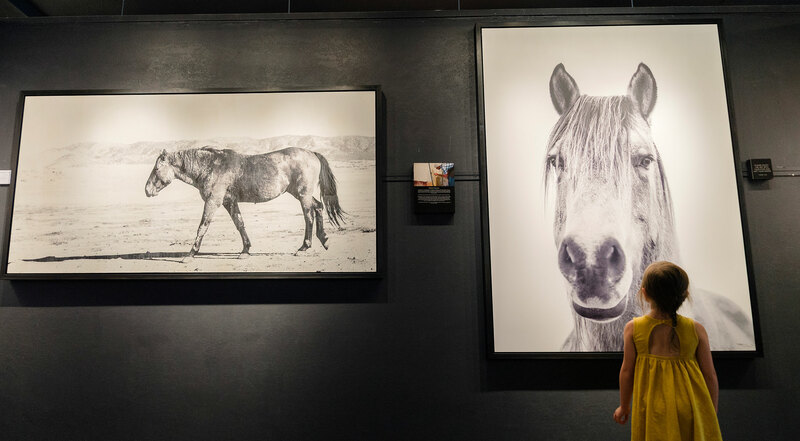 This fall, we invite you to escape to Historic Park City and explore galleries, boutiques, bars & restaurants, nightly entertainment and family activities. Visit between October 1 – 31 and enjoy one free parking session on Main Street on us. 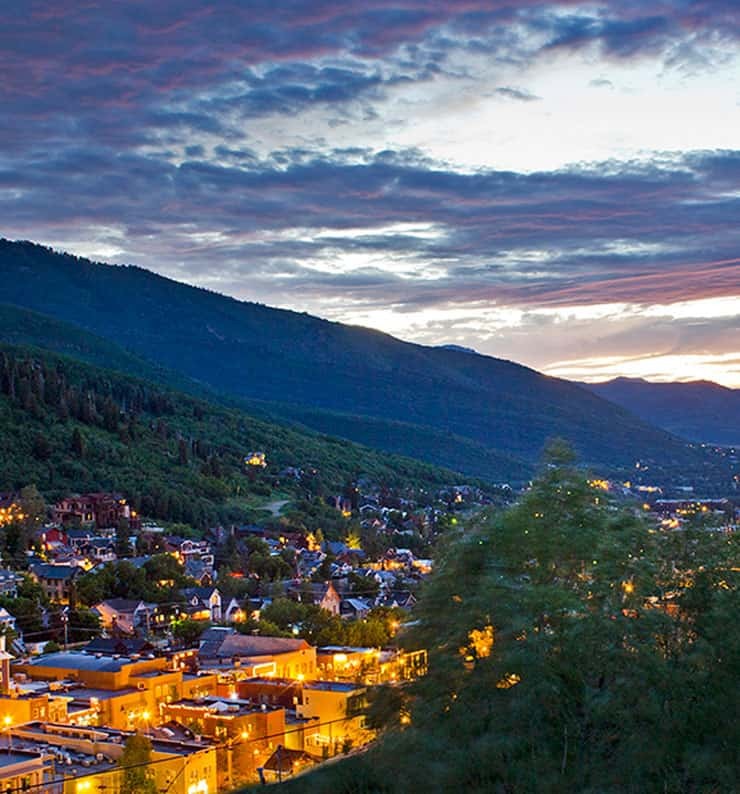 Download the Go Park City app on the App Store or Google Play. Once you begin your parking session, enter promo code GOPARKCITYOCT and your parking session will be free. GOPARKCITYOCT promo code only valid October 1 – 31, 2018. Promo code valid for one time use per mobile app user. 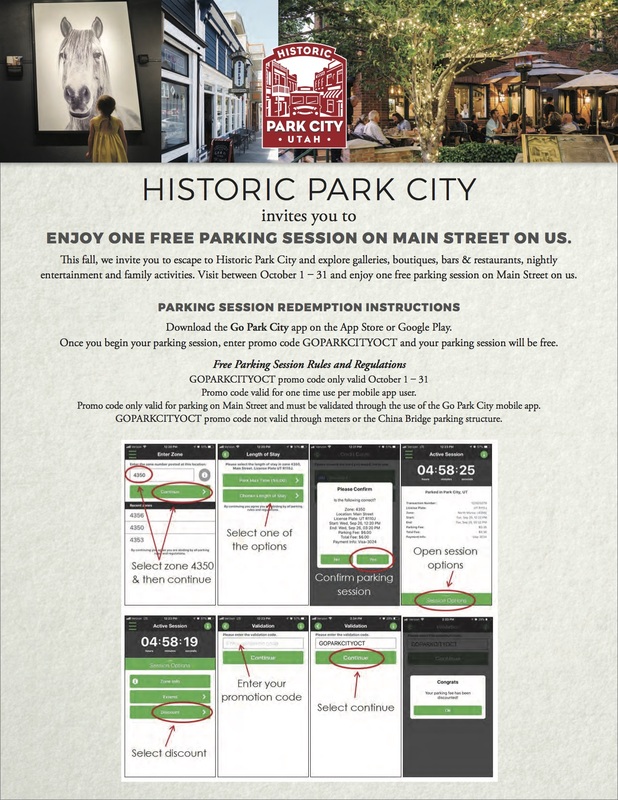 Promo code only valid for parking on Main Street and must be validated through the use of the Go Park City mobile app. GOPARKCITYOCT promo code not valid through meters or the China Bridge parking structure.